Have you ever heard of the Niagara escarpment? …Neither had I, until fairly recently (and I am from Michigan!). The Niagara escarpment is a geological formation that runs horizontally through New York, Ontario, Michigan, Wisconsin, and Illinois. It is most famous for Niagara Falls, but there are many more truly unique and interesting formations around the area that are undervalued. Hamilton is known as the waterfall capital of the world, and rightly so.There are just over 100 waterfalls in the area, and eight of these one-hundred waterfalls are over 18 meters high or wide. I made a visit to Tews and Webster Falls at the suggestions of our hostel attendant. The escarpment and other features are due to uneven erosion. It has taken over millions of years for the softer rock to weather away as the harder rock remains. Eramosa Karst is just one example of the interesting geological formation that has be created due to this phenomenon. 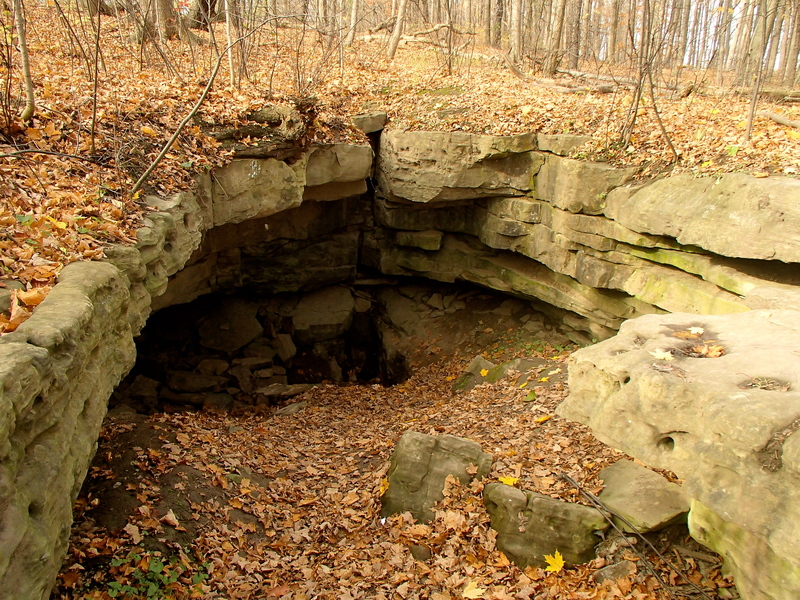 At Eramosa Karst one can find 16 different examples of underground drainage, caves, and passages created by this dissolving rock. There is about four kilometers of pathways in the park. It is $10 to park. Once you pay the entrance fee, you are able to enter any of the Hamilton Conservation Parks for the remainder of the day. 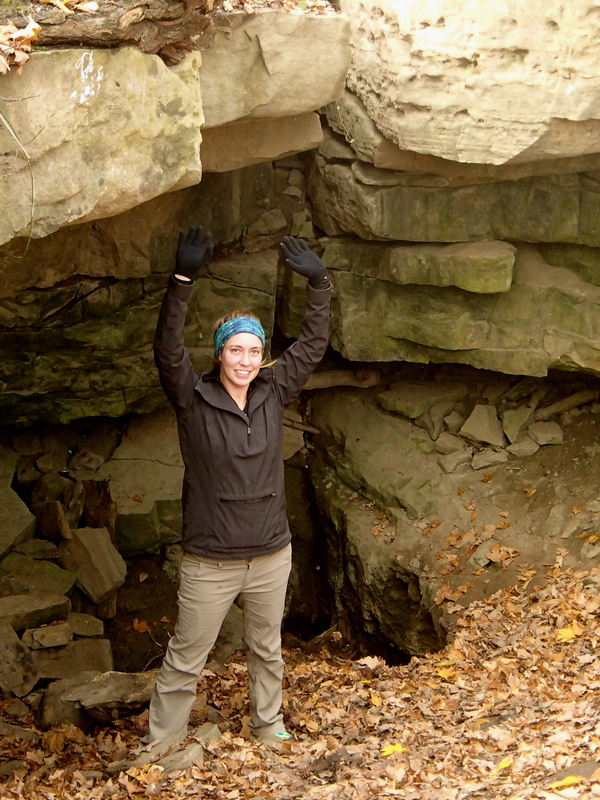 This worked out well because we were able to visit both Eramosa Karst and Spencer’s Gorge in the same day. Keep in mind, it is almost impossible to get to these destinations without use of a car. 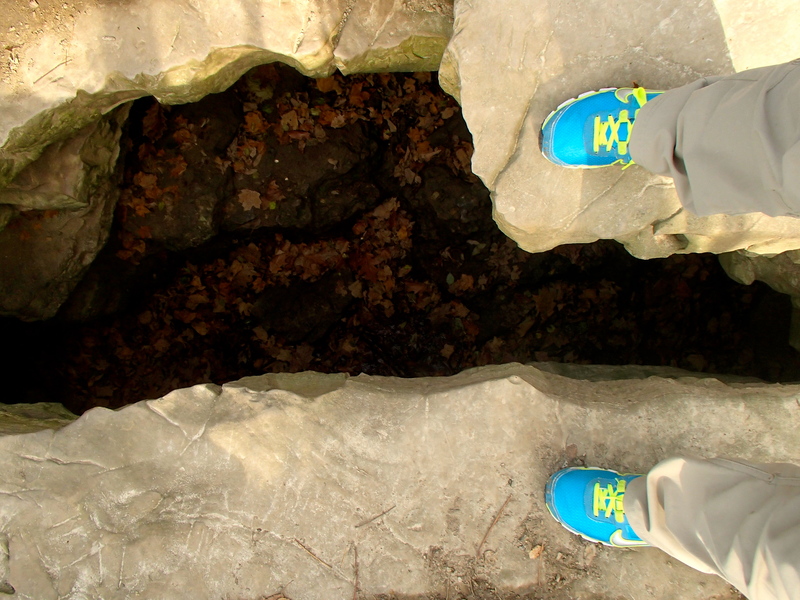 Tags: canada, caves, eramosa karst, eramosakarst, geology, hamilton, hikes, hiking, nature, niagara, niagaraescarpment, ontario, rocks, travel, wanderlust, waterfalls. Bookmark the permalink.